Amy Winehouse and Paloma Faith are two of the most popular artists the UK has produced in the last 30 years. Both are soul singers whose work has a more vintage 60’s, retro sound, yet at the same times also has a real modern feel to it as well. They both draw on similar influences such as Dinah Washington, Aretha Franklin and Etta James in particular. Finally both also dress in somewhat over the top clothes and have a more eccentric, striking overall look than your average pop princess. Not surprisingly as a result of all of this many people have compared Paloma Faith to Amy Winehouse from practically the beginning of Paloma’s career to the present. Here’s one from just a few weeks ago! However are these comparisons really valid? Why are these two artists always mentioned together and what did they think of one another? Well that is what I am going to explore in this article. Paloma Faith has often spoken highly of Amy Winehouse. In a 2012 interview when Paloma first starting getting attention in America she was quick to remind the interviewer that it was Amy Winehouse not Adele who had paved the way for British singers in America in the late 00’s early 2010’s. 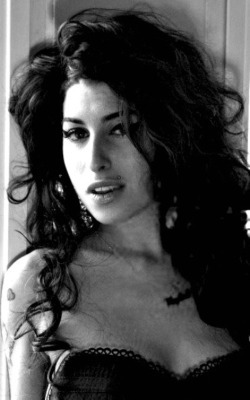 Paloma was also among those who paid tribute to Amy after her tragic passing in 2011. “When she opened her mouth to sing it was like the heavens opened, the voice of a bygone era, and in it was contained all the sadness and heartache of all the world, and that was what sounded so beautiful. She was so tragically beautiful. Such a great loss for her family, her friends and her listeners. I think its important that people don’t romanticize what happened to her, it is a warning to all of us. The truth is Amy would have been better off alive, not forever young like so many of the greats. She paved the way for me and others like me and her legacy will live on, timeless and infinite all at the same time. I am so moved and so grateful for what she contributed to our generation of music and only sad she wont be around to do more. Paloma Faith’s tribute to Amy Winehouse in 2011 after her death. Paloma has also supported the Amy WInehouse Foundation that her father founded not long after her death. She even attended the annual Amy Winehouse Foundation ball in 2012. Paloma at the Amy Winehouse foundation ball in 2012. However surprisingly despite this Paloma and Amy had no relationship whatsoever. Indeed the two only met once according to Paloma. Paloma says they met many years ago before Paloma became famous and before the release of “Back to Black”. Amy actually asked Paloma to join her band, but Paloma turned her down. Though there appear to be contradictory accounts online about their meeting. According to some Paloma turned down the offer to join Amy’s band as she wanted to pursue her own solo career, whilst others have stated that Amy turned her down because Paloma could not play an instrument. According to this version of events Amy had been impressed with Paloma’s performance and wanted her in her band, but she did not need another singer and thus when she found out Paloma couldn’t play an instrument she changed her mind. Apparently when Paloma said she couldn’t play an instrument Amy just simply said “bugger” and wandered off. Both were also very good friends with Adele, but ultimately the two evidently did not know each other, but still nevertheless thought greatly of one another’s talents as evidenced by Paloma’s moving tribute of Amy and the fact that Amy wanted Paloma to actually join her band. However these two are still practically always mentioned together? Paloma also didn’t really emerge until after Amy’s career had come to a finish. Paloma only released one album before Amy’s tragic death and it was in 2009. Sadly Amy due to her problems never released a full album after her masterpiece “Back to Black”. Thus Amy and Paloma were never even really contemporaries. Well I think the reason that people tend to draw comparisons between Amy and Paloma more than between Paloma and other popular soul singers like say her friend Adele or Emeli Sande is because both Amy and Paloma tend to evoke a more old fashioned sound. I think that the likes of say Adele or Emeli Sande or Florence Welch’s music tends to have a much more modern sound to it than either Amy or Paloma. There are so many Amy and Paloma songs that really do sound like they could be from the 50’s or 60’s. As I have mentioned before “Love is a Losing Game” is the type of song that you could imagine Nat King Cole or Etta James singing and they would have been able to do really good versions of it too. Similarly “New York” by Paloma Faith is the type of song that you could easily imagine Dinah Washington or Billie Holiday singing. That’s the great thing about Amy and Paloma songs is that often you think “I’m sure I’ve heard Dinah or Etta sing that”. Of course Amy Winehouse and Paloma Faith have tried their hand at some of the classics like “No Greater Love” but still you know what I mean. Songs like “New York” and “Love is a Losing Game” feel like they’ve always been here. You are genuinely shocked the first time you hear them to see that they are not only modern but were written by someone so young as well. I don’t think you really get that same feeling from many other artists. With Adele for instance you’d always think her songs were modern. That’s not to say she is a worse singer or songwriter, just that she doesn’t evoke quite the same old sound that Amy and Paloma do and I think that’s the real reason that Amy and Paloma are often mentioned side by side. They both in many ways feel like people out of time. This can even be seen in their appearances with Amy’s look in particular obviously evoking that of 60’s girl groups such as “The Ronnettes”. As Paloma said of Amy her voice truly was from a bygone era, but ironically so is Paloma’s. Though again this is not to say that their songs can’t have a modern feel to them to, but that’s the point they both manage to mix a lot of old and modern styles together to create something new. I also think that Paloma and Amy have perhaps a wider range than many of their contemporaries too. Both can sing songs with an unbelievable emotional content, but both can apply their voices to lighter, more upbeat tracks too such as “Amy, Amy, Amy” and “Upside Down”. Again many other singers can only cope with one type of song. Like Adele for instance I don’t think can really apply her voices to lighter songs. Her voice is just too big and heavy for a jolly little track like “Upside Down”. On the flipside meanwhile there are obviously very few singers who would have the depth to cope with a song like “Love is a Losing Game”. However at the same time whilst there are similarities in Amy and Paloma’s sound there are some key differences and its important to acknowledge that. I think that for a long while the comparisons to Amy actually hurt Paloma’s reputation. All a lot of people ever saw her as was just a carbon copy of Amy Winehouse which is completely unfair. Whilst it’s obviously a great honor to be compared to an artist of Amy’s caliber, understanbly Paloma would want to be seen as an artist in her own right. I’d say that Amy’s work has a greater emotional content than Paloma’s. Paloma’s has a great emotional content too, but I think Amy’s is ultimately stronger. I think its because Amy’s songs are a little darker and grittier than Paloma’s. Whilst Paloma may sing powerful songs that we can relate to like “Black and Blue” Amy’s work covers subjects like men and women having affairs, depression, self harming, alcoholism and drug addiction. These lyrics coupled with Amy’s somewhat deeper, more rasping, smokey voice I think often help Amy’s songs pack more of a punch than Paloma’s. Compare the two below and you will see that Amy definitely has more of an edge to her. I think Amy’s lyrics are edgier simply because she lived that kind of a life. She did have experiences with addiction to both alcohol and illegal drugs, self harming, she had affairs, she suffered from depression. Thus her work reflected that obviously more than Paloma and most other artists. At the same time however I think its worth noting that Paloma’s work is far more imaginative than Amy’s. Paloma’s lyrics tend to reflect her more extreme, over the top, fabulous imagination. They tend to conjour up very vivid and fantastical imagery, like something you’d expect to see in a fairy tale. I think its Paloma’s gigantic imagination that really helps her stand out not just from Amy but from all of her contemporaries. Thus whilst Amy’s lyrics may be darker and grittier, Paloma’s are definitely more surreal and offbeat and whimsical. If you were to ask me who I prefer overall then I’d have to say Amy. Amy Winehouse’s music ultimately is more special to me and I think it had a bigger impact on me as a person, but Paloma is still one of my all time favorite artists. Whilst Paloma may have suffered from the Amy comparisons at first, ultimately she has proven to be a very successful artist in her own right. Each one of her albums has been bigger than the previous one and now having recently scooped up a Brit Award it seems Paloma’s going to be around for a long time yet. Though there will always probably be comparisons between Paloma and Amy I now think they have reached the stage where they can be taken as compliments. Certainly no one can say that Paloma a carbon copy of Amy now. I think the comparisons will always endure simply because of the two artists more old 60’s sound, wide range and also their eccentric personalities. However like I said I think that the comparisons will be more complimentary from now on rather than just being used to dismiss Paloma as an inferior copy of someone else. Paloma has certainly proven to be a unique and interesting singer song writer in her own right. I think you are being too hard on Paloma personally. I obviously LOVE Amy too. There are dozens of articles on her here BTW you should check out. Still Paloma didn’t really compare herself to Amy. That “I’m like Amy without the drugs” was a misquote and she’s always said nice stuff about Amy. The comparisons really came from the press and like or hate either, you can’t deny that valid comparisons can be made.